The Texas Academy of Pediatric Dentistry would like to formally invite all members to attend our annual “Sweet Child of Wine” fall continuing education course this September. This fantastic course will be led by Dr. David Rothman and is designed to help navigate the new sedation guidelines, offering a medical emergency manual for attendees and hands-on experience. 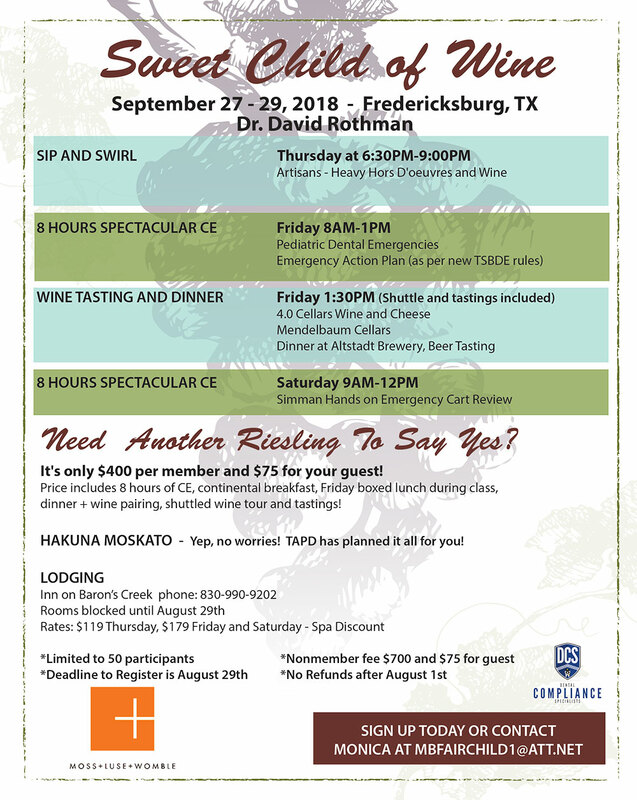 Come visit the beautiful wine country of Fredericksburg, Texas and treat yourself to CE in style! More information can be obtained in the attached flyer or by contacting the Texas Academy of Pediatric Dentistry.